Everyone gets frustrated when they have to scroll all the way down a million times to get to the content that they actually want to see on a website. It’s the same when you just found something you really wanted on the top of a page, but you are at the bottom, and it is going to take a lot of swipe to get back to the top. The matter becomes worse when you are in a hurry, and there is really no time for you to keep pushing that scroll bar up and down. What could be done in such a case? 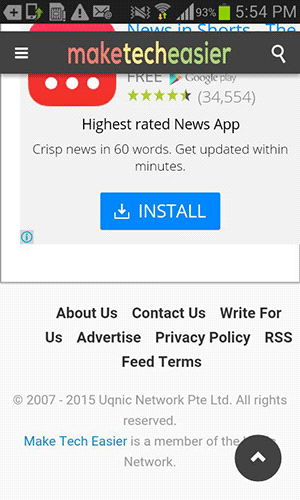 Fortunately there is an app called OneClick Scroll that lets you quickly jump to the bottom or top of any page on an Android device. Let’s check it out. Note: your Android phone must be rooted before you can follow the following steps. Please check out our rooting guide to learn what root is and how you can go about rooting your device. 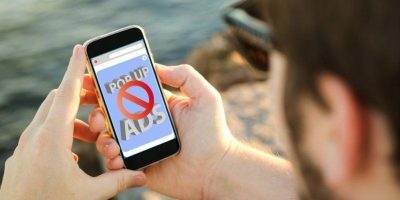 The app that you are going to use is available for free on the Google Play store, so there is no need for you to download and install from an external source. 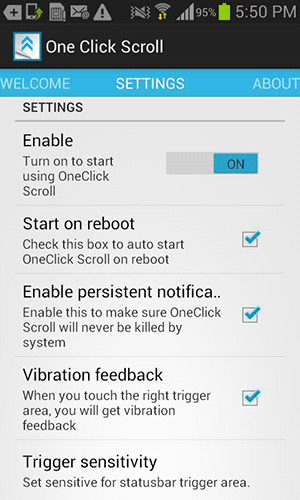 Head over to Google Play and install the OneClick Scroll – root app on your device. 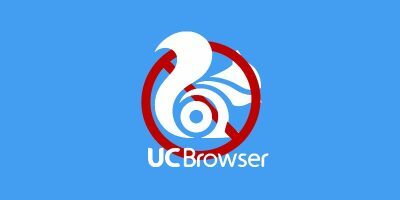 Once the app is installed, launch it from the app drawer on your device. It should be on the last screen in your menu. 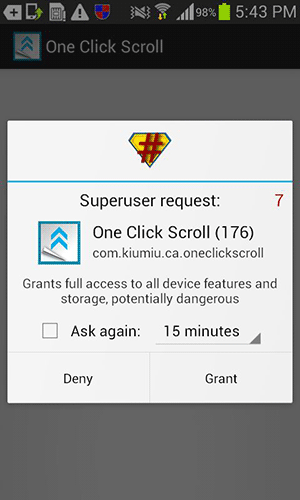 When you launch the app for the first time, you will be prompted to provide it with the Superuser permissions. Tap the “Grant” button to do so. 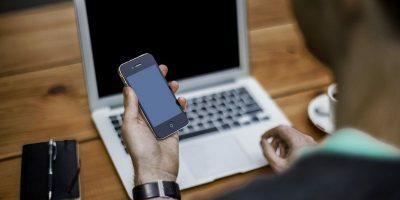 The first screen on the app tells you how you can use its functionality to jump to the bottom or top of a page on your device. 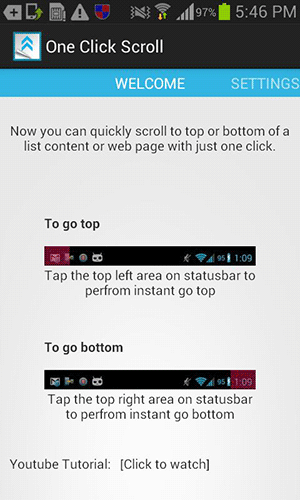 While you are on the main screen of the app, swipe to the right to open the Settings menu to configure the app. Enable – make sure it says “ON,” or the functionality of scrolling quickly will not work. 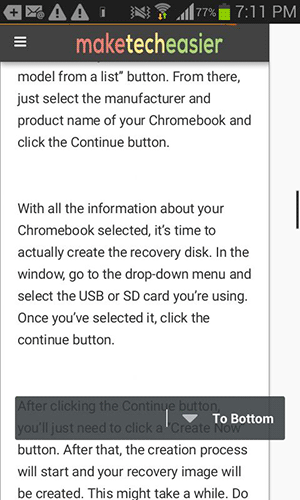 Start on reboot – check this box if you want the app to automatically launch when you reboot your device. 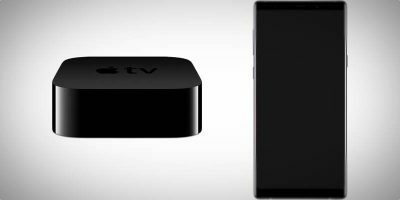 Vibration feedback – it vibrates the device when the right spot is tapped for quick scrolling. 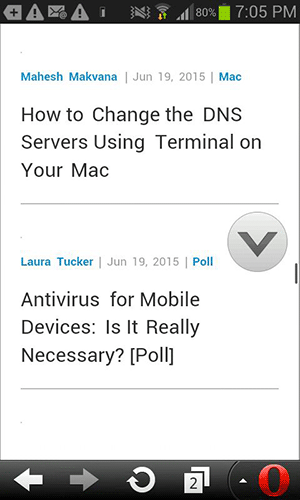 Open a webpage in a browser on your Android device. Make sure the webpage is long enough so that the browser shows a scroll bar. 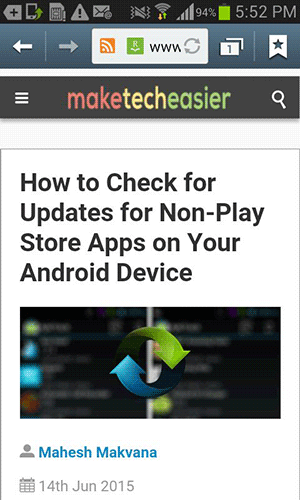 Once there, to get to the bottom of the page, simply tap the top right corner on your device. In the screenshot below, I need to tap the area where the time is shown. The page will automatically scroll all the way down to the bottom. To get to the top of the page, tap the top left corner, and you will be taken to the top of the page. If all you need is to quickly scroll up or down on web pages in browser and you happen to use Firefox, there is a little add-on called Smarter Scrolling that lets you quickly jump to the bottom or the top of a page with a single tap. 1. 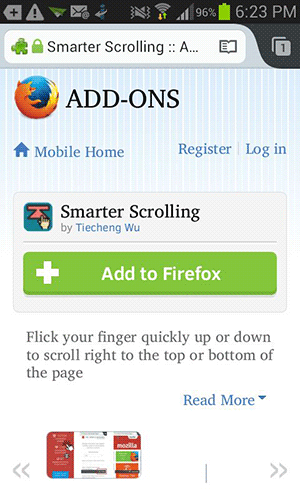 Launch Firefox on your Android device and head over to the Smarter Scrolling extension page. 2. Tap the “Add to Firefox” button and the extension will be added to your browser. Once it has been added, go to any webpage that is long enough for your browser to show a scroll bar. Once there, simply flick your finger quickly up or down to go in the appropriate direction. That way you will quickly reach the bottom or the top part of that particular webpage. 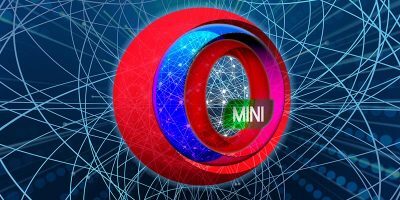 If you use Opera on your device, then you do not even need an extension to get the job done. In order to get to the top or the bottom of a page, simply do the regular scrolling, and you will see an arrow icon at the side. Tapping on it will take you either to the bottom or the top of the page, depending on what direction the arrow shows. 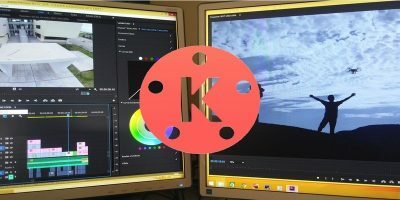 If a page is quite large and the content you wish to see is at the bottom, the above methods should help you get there much more quickly than manually pushing the scroll bar to reach there. It has made scrolling much easier than ever! This should already be a part of the phone. No special app. Cripes. It is 2015. Where is ergonomics. 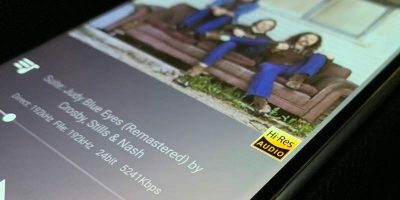 Yes, we’d love to see this feature being added to the latest versions of the OS.